Fully integrated Medicaid billing module designed to simplify processes, promote compliance, and optimize cost recovery. 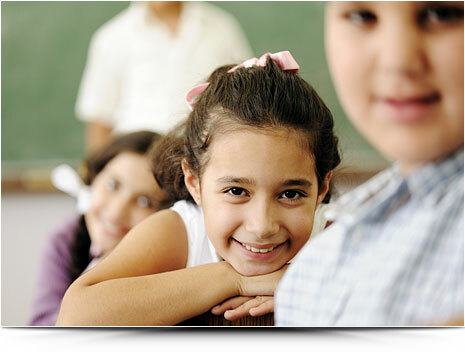 Medicaid Direct is a cutting-edge, web-based software solution for managing the school-based Medicaid program. This software allows school districts to claim reimbursement for specific related services provided to eligible special education students. As a fully integrated system, Medicaid Direct works seamlessly with IEP Direct to manage student demographics and related service data from IEP documents and service logs. This has the dual benefits of eliminating duplicate data entry and errors between systems, and ensuring the validity of services claimed for Medicaid reimbursement based on in-force IEP requirements and supporting documentation. As with IEP Direct, each state-specific Medicaid Direct application is fully customized to that state’s regulations and requirements. The system is updated regularly based on state and federal regulation changes to the claiming program. This includes billing codes and rates, claim file formats and data requirements, timely filing deadlines, error codes and reasons, and supporting documentation mandates. School-based Medicaid is a valuable cost recovery program that has a complex set of federal and state regulations, and requires a heavy administrative commitment from participating districts. Medicaid Direct eases that burden through intelligent application of claiming validations, full integration with IEP Direct, and intuitive reporting tools. Seamless integration with IEP Direct ensures all eligible students and services are identified, and provides real-time access to evaluations and related service encounter records from within the district and from out-of-district providers. Robust claiming validations support compliance management and appropriate billing practices. Integration with IEP Direct provides real-time validation of supporting documentation requirements, including related service mandates, provider credentials, written orders/referrals, and parental consent. Visibility into ineligible service data enables timely and targeted process improvements. Cutting-edge Claims Analysis tool provides real-time access to claiming trends and program status. One-click access to Medicaid eligibility files simplifies eligibility processing for the entire special education student population. Intuitive service entry wizards support manual claim management and compliance with the in-force IEP related service mandates and supporting documentation requirements. Comprehensive Claim Calendar feature provides drill-down analysis of each unique service claim, and advanced management tools for managing claim resubmissions, adjustments, and voids. Configurable settings provide flexibility for each district’s specific processes and needs. ©2 Centris Group LLC All Rights Reserved.